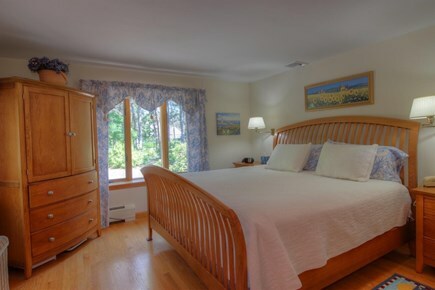 This beautifully decorated, 3 bedroom, 2 bath home offers the perfect combination of privacy, location, and convenience for your Cape Cod vacation stay. Located in the quiet, sought-after neighborhood of Great Pasture - ideal for walking, jogging, and biking. A short stroll to town, and you’ll find picture-perfect shops and galleries, markets, and cafes. 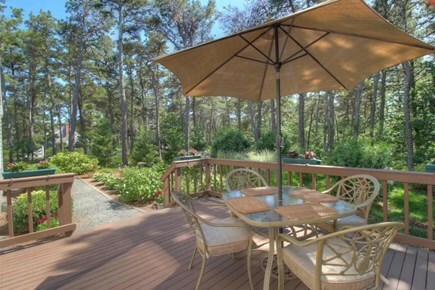 Easy access to beaches, ponds, harbor, and town pier. Bayside beaches a 5-minute drive. Breathtaking National Seashore ocean beaches with sweeping dunes a 10-minute drive - without going on Rt. 6. 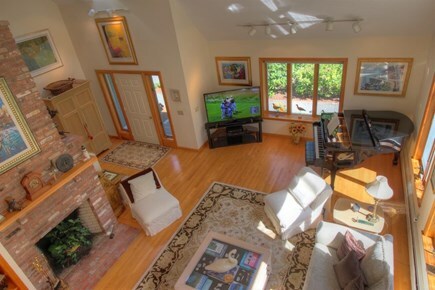 This spacious and sunny home has a welcoming flow with open living, kitchen, and dining areas. 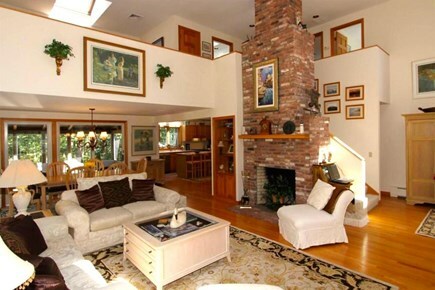 Cathedral ceiling, multiple skylights, and large windows make it a light and bright home full of modern amenities. 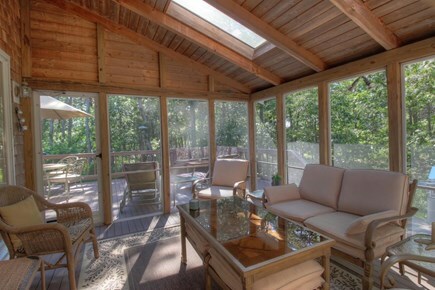 Enjoy summer nights or hot days with a book on the comfortable screened in porch. 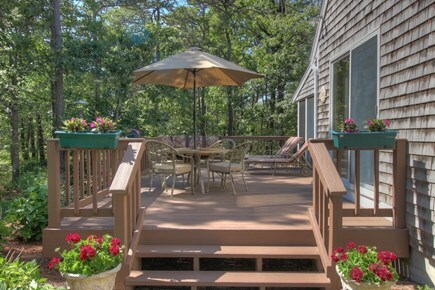 Sip your morning coffee on the deck overlooking a secluded beautiful yard. Cool off after a perfect beach day in the private outdoor shower or relax inside with central AC. 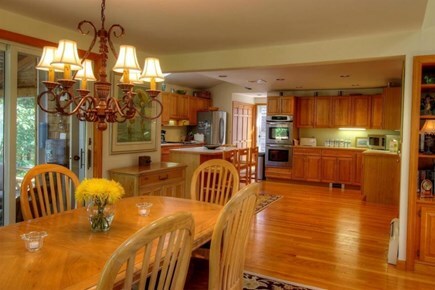 This is a lovingly cared for family home that sleeps 8 comfortably. 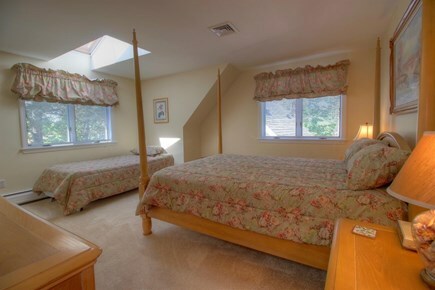 A first floor master suite with jacuzzi tub is accompanied by a large loft with sleeper sofa, plus two more bedrooms and a full bathroom with tub. Flexible sleeping arrangements. Perfect for extended families and groups of friends. Long-Term Rental (1 month or more): September and October monthly rentals available for $6000. Please contact for more details. Additional pricing info: $200 discount for booking consecutive weeks. State and local taxes of 12.45% will apply. 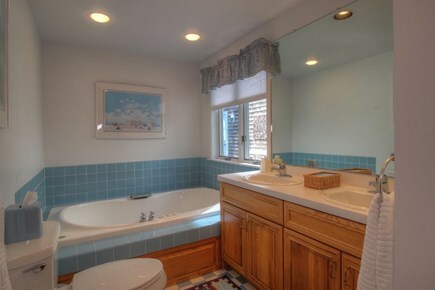 This is a terrific, spacious house, which is so well equipped and spotless. 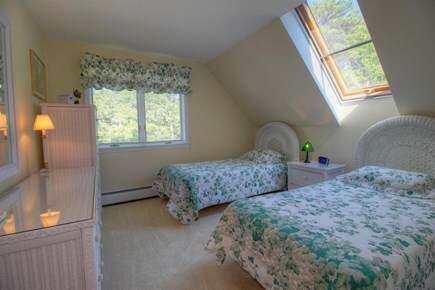 The location is convenient to the town and both the bay and ocean beaches. The owners were extremely cooperative and timely. 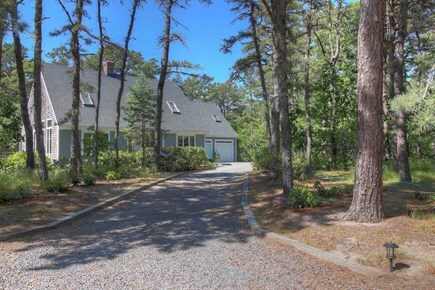 After summers of vacationing in beautiful Wellfleet and feeling a connection to the unspoiled, outer cape, this vacation home came into our family. It is enjoyed by our extended family and us several weeks a year, and memories are made. With young children and active careers, we cherish our time at the house and someday hope to spend entire summers. We began renting our family's vacation home last summer, at first to close family and friends. 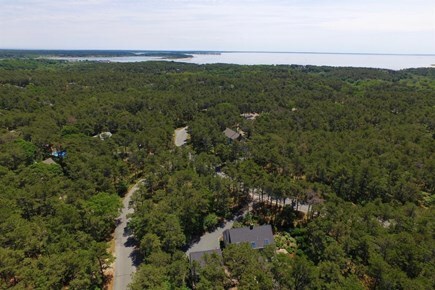 What we learned from this process was we really loved bringing people to Wellfleet and inviting them to experience the same kind of joy we felt as long-time renters uncovering a hidden gem. We once stayed in this property as renters - and instantly knew it was one-of-a-kind. The previous owners built the house and really loved and cared for it deeply. We always admired how beautifully the previous owners decorated the home with warm pieces of art and photography, as well as how thoughtfully the flow of the house works. The house boasts several kinds of outdoor spaces - from a three-season porch to a large deck with room for large family gatherings, to a brick patio and various gardens and lawn spaces. Sometimes the house is so comfortable, you are willing to give up a perfect beach day for the peace and serenity of the property. 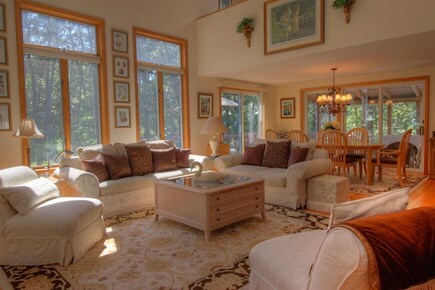 It's truly a wooded oasis with privacy abound. The house was built to be a year-round residence and is constantly temperature controlled, which means it doesn't develop a musty smell like so many seasonal cottages. Our neighborhood in Wellfleet, Great Pasture, is wonderful. Our family's property is on a cul-de-sac and connects to several other delightful and quiet streets, all containing similarly nice homes. The streets are paved, which is great for walking or taking a bike ride. If you go one way, you end up at the sand pit trail overlooking the Herring River estuary. If you go another way, you can hike across the Herring River right to Duck Harbor. 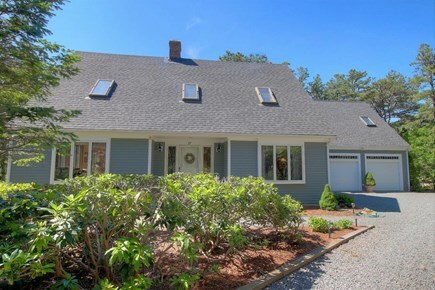 The neighborhood connects to Old Chequessett Neck Road, which takes you right into town - a pleasant, short walk. Wellfleet is one of the most special places in the entire state. In a short drive, you can access National Seashore ocean beaches, unspoiled bay beaches, Wellfleet harbor, and several fresh-water ponds with sandy beaches. The town is charming. It has an award-winning library with noteworthy events, a fully stocked market, multiple fish markets, an organic market (and weekly farmer's market), candy and ice cream shops, quaint galleries, and delicious restaurants that range from family favorites to high-end bistros.